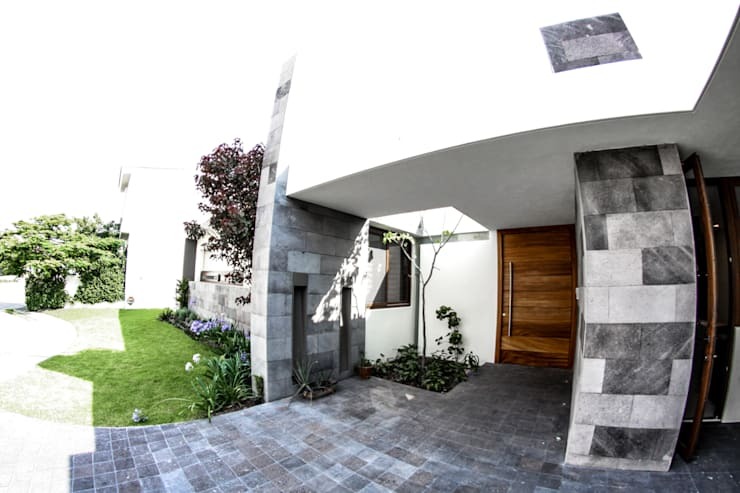 The entrance area plays an important role in the construction and design of single-family dwellings, as it is the gateway to our home and the first thing visitors see. Accordingly, it should not only provide sanctuary and security, but also represent our personal style and that of our home. The following seven examples meet the challenge and fulfill all criteria with ease. 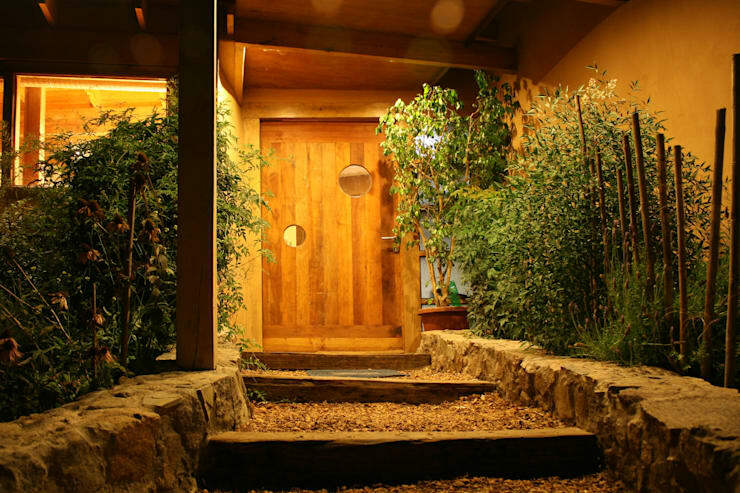 Here is an impressive entrance that combines modern design with rustic naturalness. 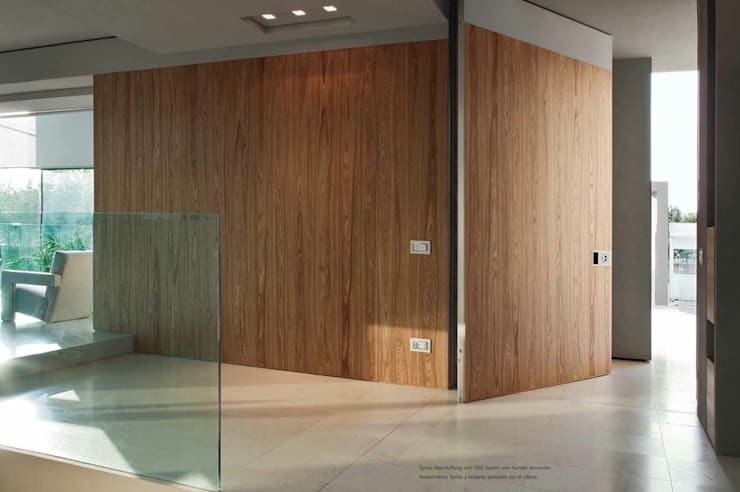 Clear lines and neutral colors are complemented by natural materials such as wood and stone. This exterior is friendly and harmonious, no matter what time of day or night, with perfectly placed lighting. It's a little rough and rustic, which fits the rest of the home well. 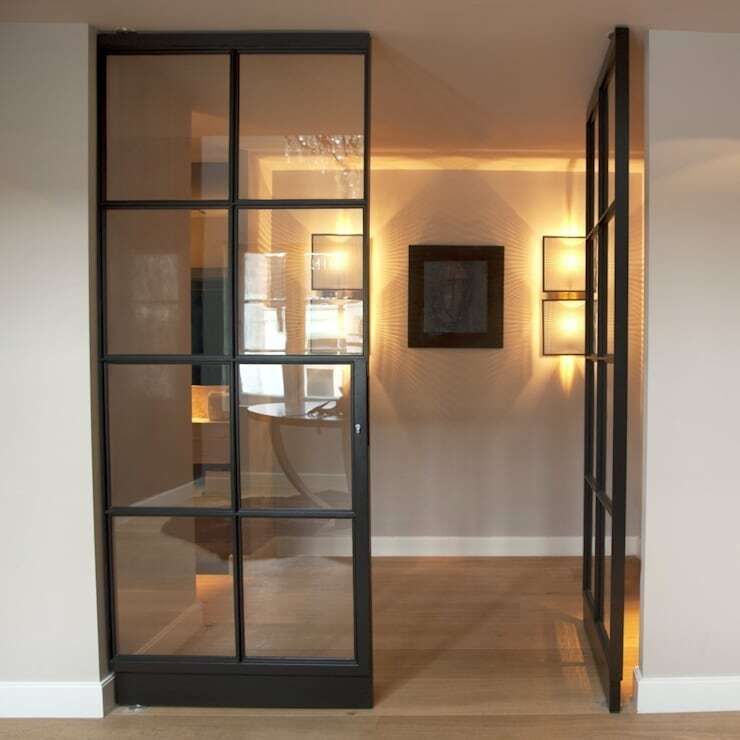 For those who like to be as minimalist as possible, this entrance area could be the perfect solution. It's straightforward and lacks any unnecessary frills. At a beautiful lake front property you don't need more than this: a lot of white, sparkling lime green and a large glass surface to reflect the wonderful surroundings. Modern architecture is inspired by creative material combinations that give life and structure to neutral color palettes. Here concrete meets gray brick, warm wood, and dark steel. It's more than the sum of its parts. Industrial style is one of the most popular styles of our time. 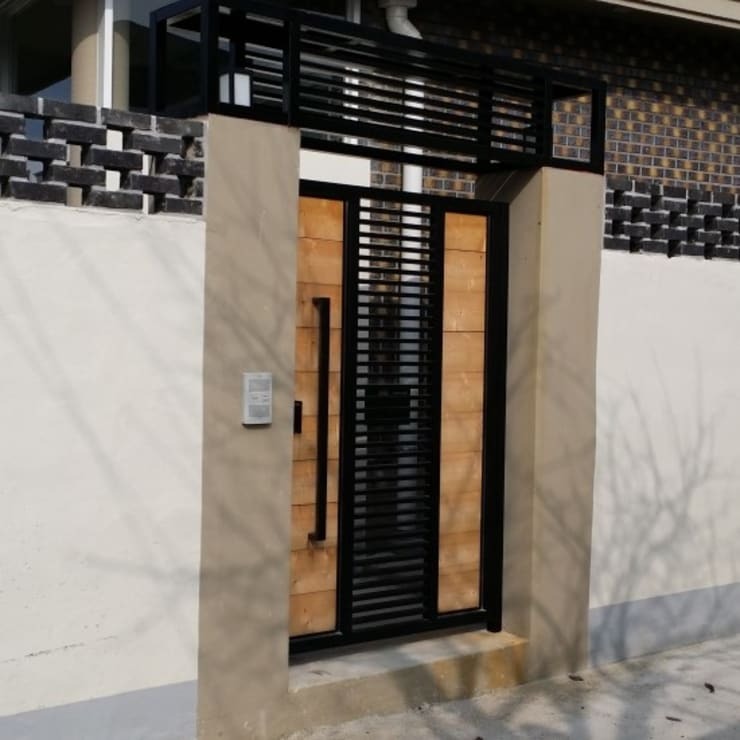 It is perfectly represented by this glass door with a metal frame. It's simple, open, and structured. 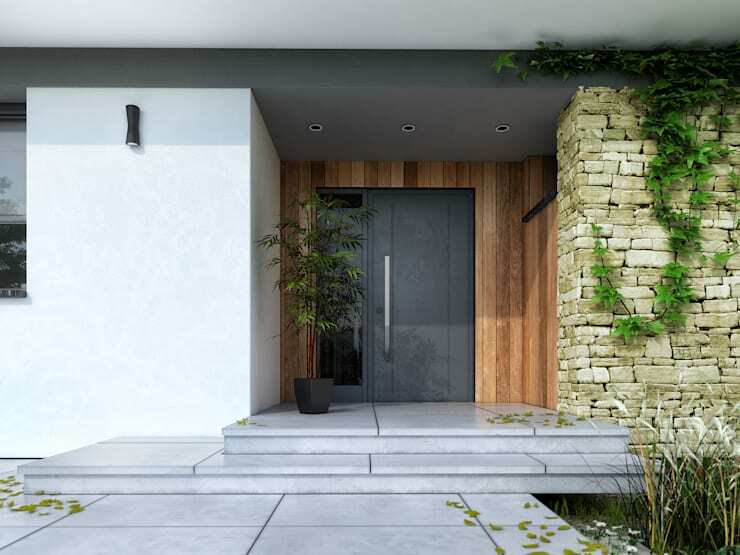 If you prefer a more opaque, but no less gorgeous entryway, this grey stone is for you. It offers protection from rain and snow, and feels very private. If you're ready to move past the entryway, check out our other desig tips, like the top 11 furnishings for the living room.